This session will be a collaborative sound making performance, created by the participants. There will be no fixed audience; each of us will shift between the two roles of performer and audience, aiming to spend as much time listening as playing. We will move freely around the gallery between the four rooms and stairs. 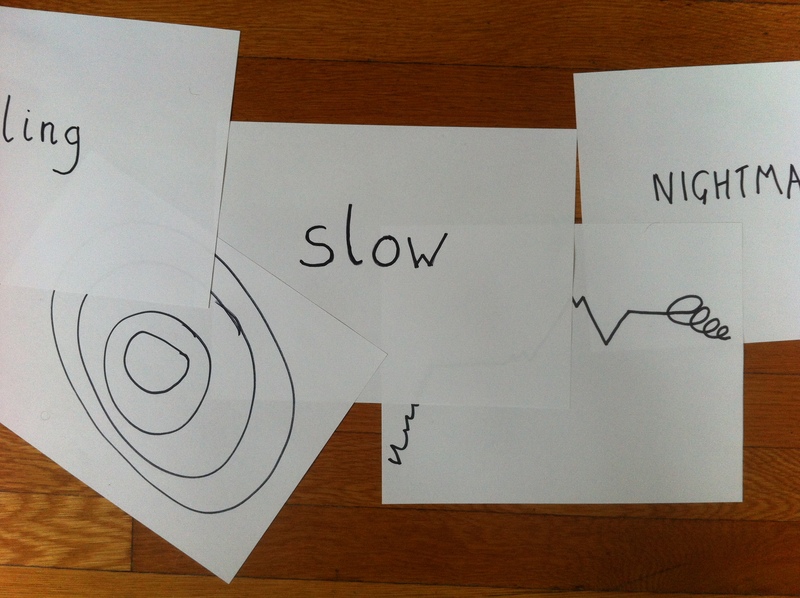 Each of these five areas will contain a one-word written instruction to the performers as a focus for improvisation and in order to create five distinct sound worlds. Those in the role of audience are encouraged to respond to the music with a word, phrase or drawing. These documents will then become instructions for the next performers in that space. In this way, during the course of the evening, the piece will develop into a collective score that leaves its traces throughout the gallery. Please bring portable, acoustic instruments, sound makers and voices. No musical experience is necessary.